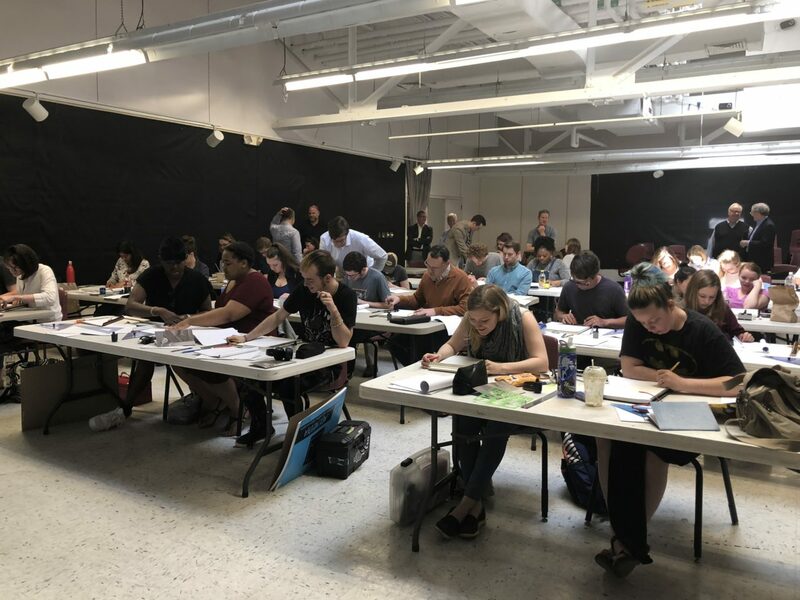 On April 13 and 14, a group of over forty students and professionals gathered at the University of North Carolina School of the Arts for an ICAA Workshop in Classical Architectural Design in collaboration with UNCSA and Forsyth Technical College. 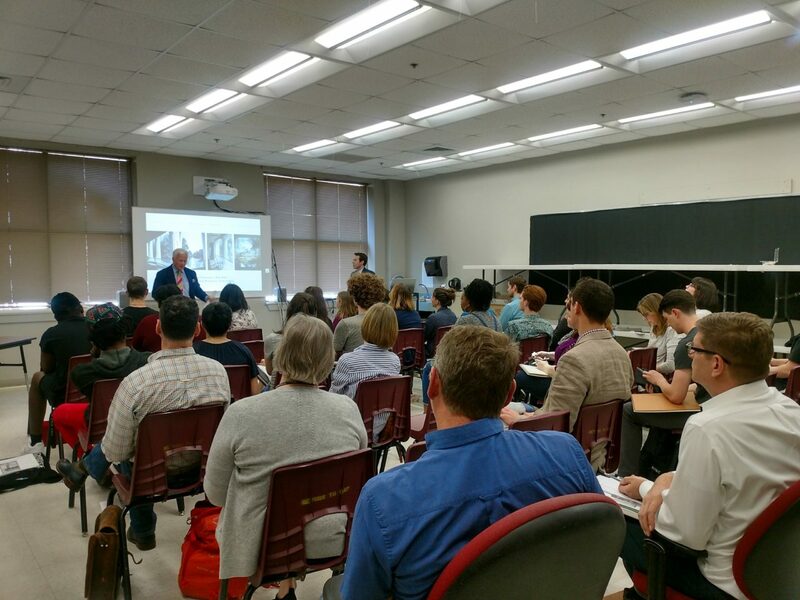 The Workshop was the latest in a series held at institutions of higher education throughout the United States in order to promote and facilitate education in classical architecture. The Workshop began on Friday with a set of three short lectures with James Strickland, Stephen Chrisman, and Gary Ainge. These were presented as case studies in how the traditional design process and the classical language are used in the modern day. Translating traditional concepts into a practical reality is an important part of the Workshop program, which reaches a diverse audience; at the UNCSA, the attendees included professionals and students in architecture, but also many students in allied fields, such as historic preservation and scene design, who are interested in bringing classical design into their future work. 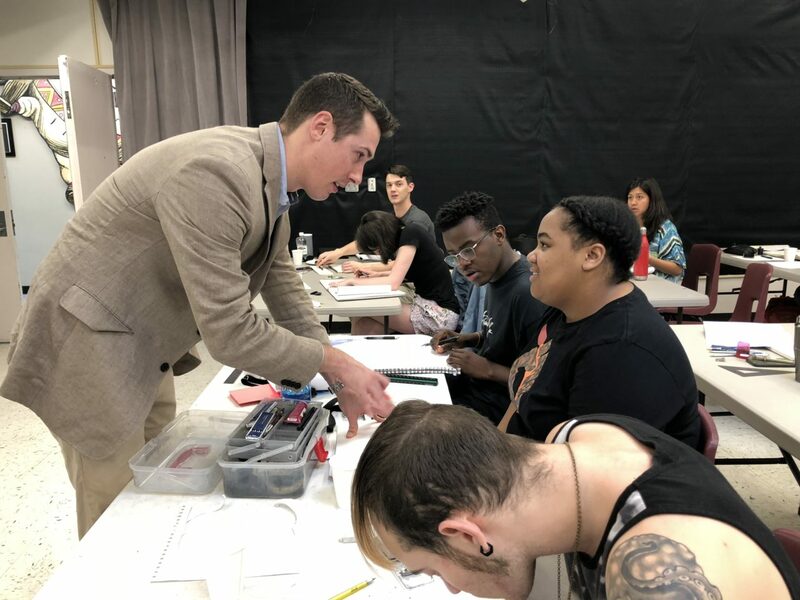 The day continued with a course on classical elements, taught by Michael Mesko and Clay Rokicki, which allowed students to develop their skills in, and knowledge of, the classical orders and their proportional relationships. In the evening, students took a break from this classroom training for measured drawing exercises in Old Salem with Stephen Chrisman and Kevin Svensen. These exercises helped students develop their understanding of architectural measurements in situ, as well as gain an appreciation of precedents and how to best understand them to inspire new designs. 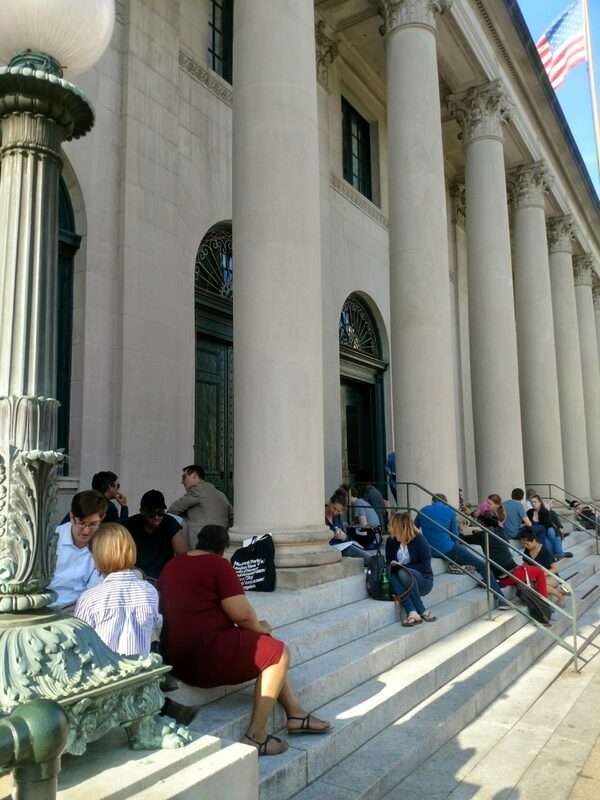 On Saturday, students were able to discuss what they had learned over a breakfast, before a final session on the classical elements with Michael Mesko and Rodrigo Bollat Montenegro in which students reinforced Friday’s lessons. 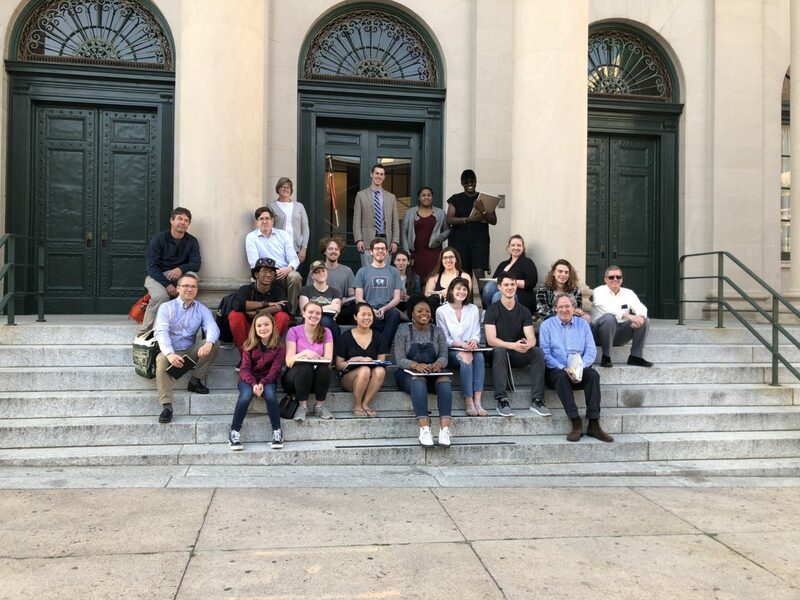 After a tour of the UNCSA facilities, students departed, bringing with them a greater knowledge of classical design as well as ideas on how to incorporate that knowledge into their own practice.